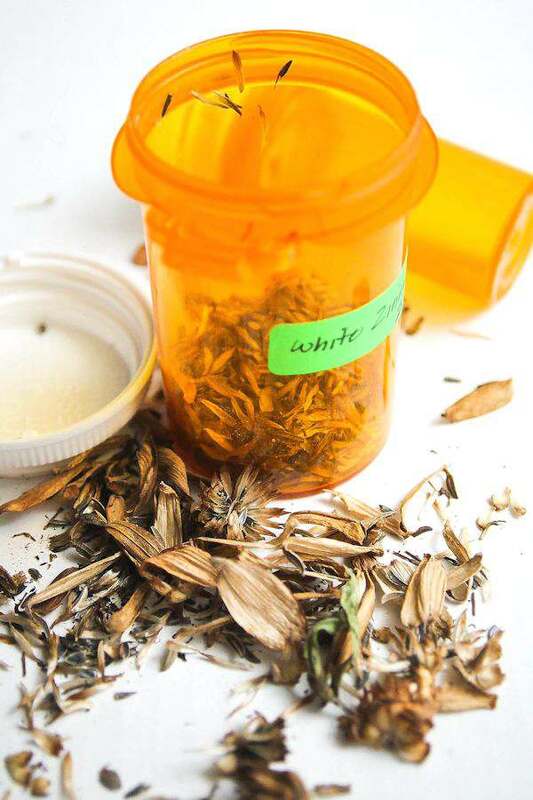 Don’t throw out those old prescription bottles. 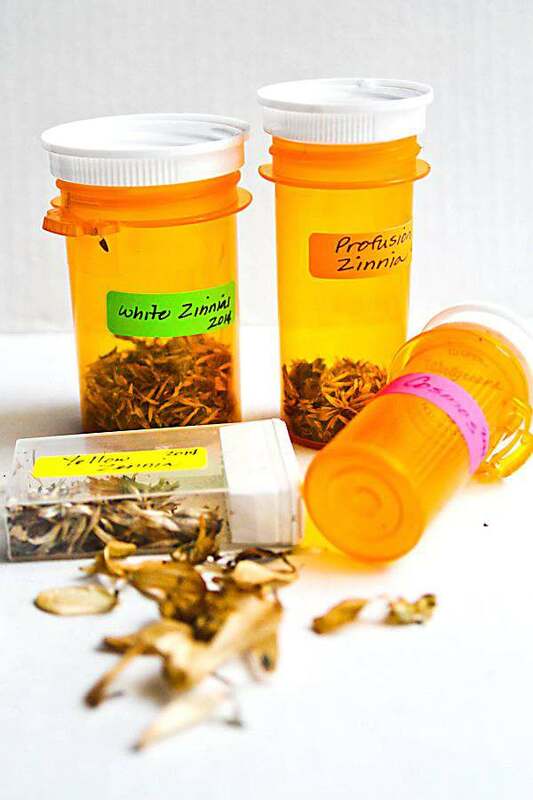 Just peel off the labels and use them for seed containers. See how easy it is to set up. Its that time of the year where I go around and start collecting dead flower heads in my butterfly garden. Be sure to check out my post on how to collect flower seeds. I had so many beautiful types of zinnias this year and I wanted to be sure to preserve them for next year. I also needed a better way to store my seeds, so I came up with DIY seed containers. Last year I put seeds in glassine envelopes, but they kept coming open and the information I wrote on them would never stay clear. So, it was time to figure out a better system. My husband recently went through back surgery and had to take prescription medications for 3 months afterward. Since neither one of us take any medication regularly, there weren’t any pill bottles around the house that often. As I was throwing away one of the empty bottles, I realized that these would make great seed containers. They won’t break, the labels peel off really easy and the lids screw off and on. Perfect solution. I even ended up with different sizes. 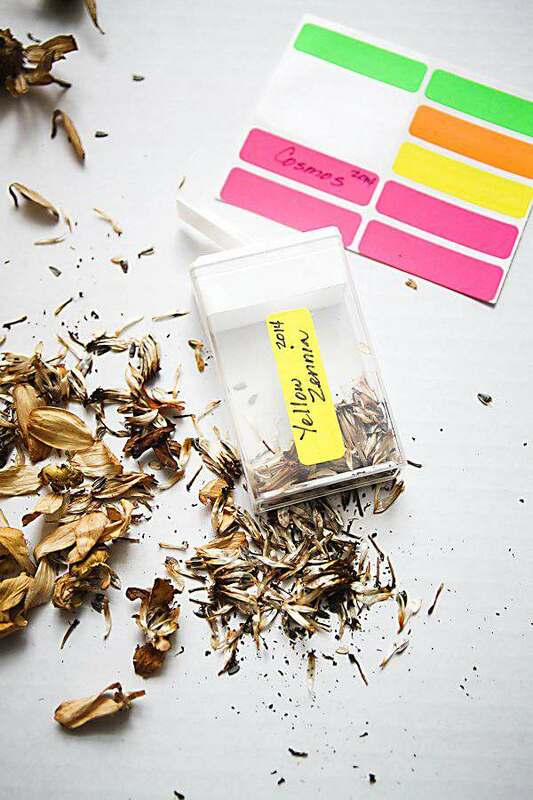 The perfect no-cost solution for seed storage. Another container I realized would be great for seed storage are those plastic mint containers. You can pull the top off and replace and the labels peel off with just a little bit of work. I used Avery removable labels in fun colors to write information about the seeds and year in each bottle. Those labels come off super easy to replace with next years seed storage information. 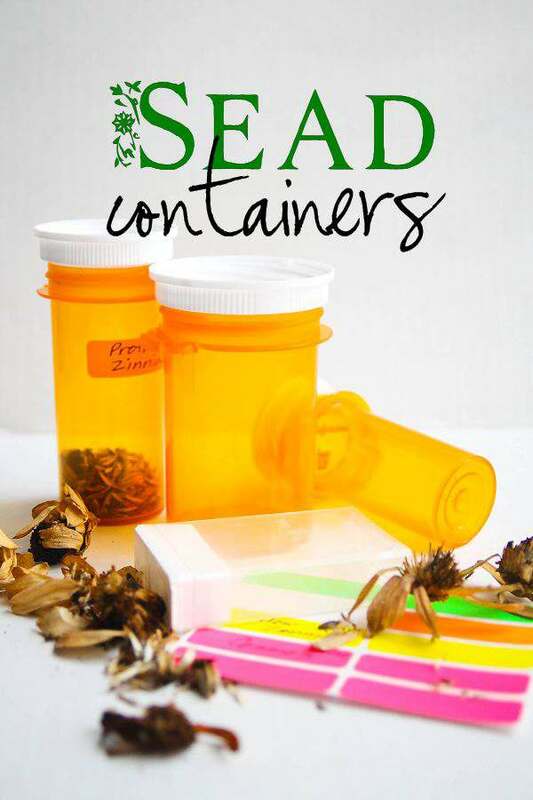 Be sure your seeds are really dry before storing them in these airtight containers or they will grow mold. Now I just store these in the fridge in a zip loc bag with my other packaged seeds until I need them next year in the spring. Tammy – great idea! I have a few medications and feel awful tossing the bottles, but couldn’t really think of a way to use them. Nor did I consider collecting seeds. It’s not too late here in the Carolinas. Thanks for the idea! *glad I found you through Janine’s Wonderful Wednesday linkup. Thanks Eli for stopping by. I love finding items to reuse. Great idea! I am always think as I am throwing away the pill bottle there has to be something I can use this for. What a great idea. I have a bunch of leftover seeds from this year that I need to store. I’m sure I can gather up enough bottles to put them in. Thanks Andrea for stopping by. I just love how these work for seeds. I don’t have that many med bottles around, but I will not dispose of them anymore. I bet kids could find all kinds of things to put in them. This is a wonderful idea! You actually gave me some ideas on other ways to use my empty bottles! For some reason, I won’t throw them away. Now I need to put them to use! Thanks Artney. Those bottles can be used for many things. Great idea Tammy! I would’ve never thought of this, maybe because I don’t have a DIY bone in my body. LOL Oh Louida, I think we all have a little bit of DIY in us. Thanks Nancy for stopping by. I will be posting this on Pinterest. Thanks for sharing this wonderful recycle or upcycle, I should say. Thanks for linking at Pintastic Pinterest. Thanks Jill for the pin.